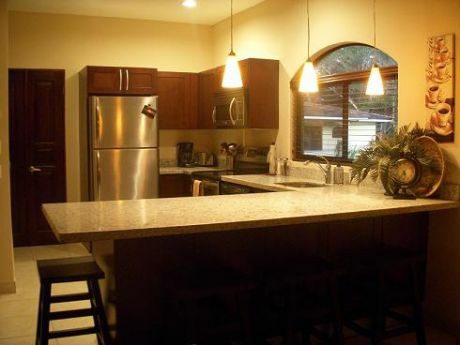 Location: -	Potrero, Guanacaste, Costa Rica, Central America -	45 minutes from Liberia International Airport -	10 minutes north of Flamingo -	20 minutes north of Tamarindo Accomodations: -	2 bedroom, 2 bath condominium -	sleeps 5 -	1200 sq. ft. 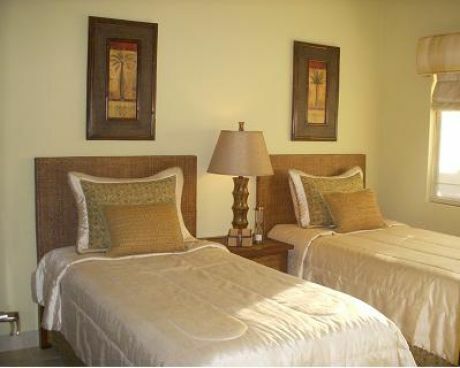 Located in the Casa del Sol condominium complex which was completed in 2008, Casa Margarita is equipped & decorated with an emphasis on comfort & warmth. 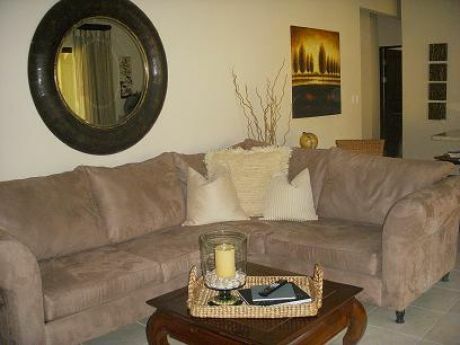 The beautiful fully equipped kitchen has granite countertops & stainless steel appliances. The condo also has a luxurious master bath with marble counters, double sinks, a jetted tub & Roman shower. For your entertainment you can enjoy wireless internet, a 40” TV, DVD, movies & games. Check in & check out are simple because the property management firm is on site. With their local knowledge they can also assist you with coordinating day trips & outings to ensure a great vacation. Housekeeping comes twice per week, but for an additional charge you can arrange to have them come more frequently. Potrero is located on the northern Pacific coast of Costa Rica in the province of Guanacaste. In the midst of the region’s rustic ranchland, Potrero is a typical fishing village. You might see cowboys herding their cattle past the town square’s soccer field & you can always enjoy the catch of the day for dinner. It’s an authentic Costa Rican experience combined with some of the most amazing beaches the area has to offer. In the quiet of the morning you can sit on your patio overlooking the very inviting pool & lush landscaping & listen to the surf from nearby Playa Penca. You can also hear the local roosters crowing & the howler monkeys in the trees over head. Playa Penca is a beautiful secluded beach only about a 2 minute walk from your condo. You’re sure to enjoy the white sand, turquoise waters, mangroves & island dotted horizon. During low tide it’s possible to beach hop to explore the many neighboring beaches. And make sure you don’t miss the amazing sunsets! There are 3 or 4 restaurants (all of them open air) & a couple small markets within a short walk, but many more within a 10 minute drive. For those interested in a little night life there are bars, dancing & a casino in Flamingo which is only 10 minutes away. If you’re looking for adventure there are a multitude of activities easily accessible from Casa del Sol, many of them as close as 10 minutes & many more within an hour or two. 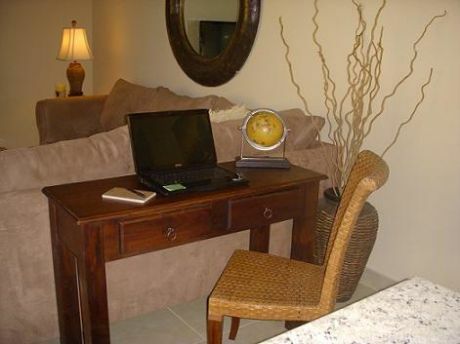 This makes Casa Margarita the perfect place to start your Costa Rican experience, & after a long day of sun & fun you can sit back & relax in your comfortable, well appointed condo. 25th Anniversary Special Rate. 25% of our Standard rate all year. Hello. My name is Julian and here's a little information about myself. I was born in Central Florida and have lived here most of my life. I've spent many years both travelling and studying abroad, but always return to the lovely surroundings of Central Florida. LEGOLAND in Winter Haven, Fla. Visitors can explore 150 acres of rides, shows and a botanical garden at this innovative theme park specially made for families with children ages 2-12, and it lies right in the heart of Winter Haven. Fantasy of Flight in Polk City, Fla. Located in nearby Polk City, this interactive attraction is home to more than 100 rare and vintage aircraft and offers those fascinated with flight a unique glimpse into these magnificent pieces of history, and the restoration and maintenance behind them. Please check local time before calling owner. Winter Haven's Willowbrook Golf Course is a premier municipal facility that offers a challenging, yet forgiving layout. This place is an icon in the neighbourhood. Our local Applebee's is a fun and friendly hangout. The food is great!